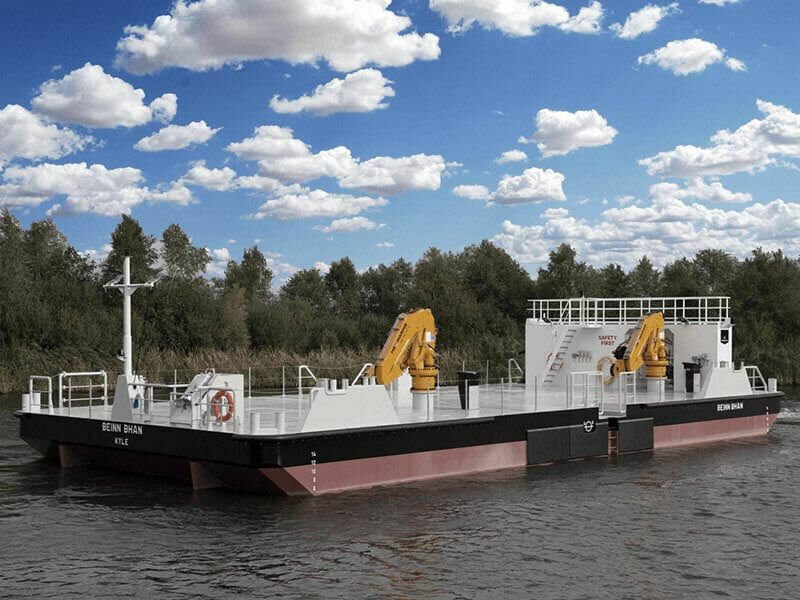 Constant innovation leeds to the best Utility Vessels. 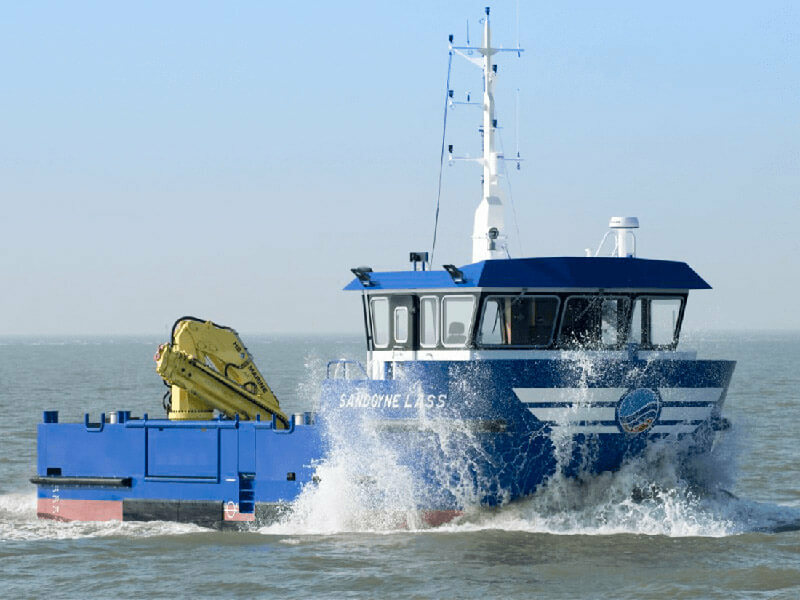 The Utility Vessel 1507 has a lot of advantages for the fish farming industry. The vessel has no sharp edges or protrusions on the side of the boat that could cause snagging of nets or tarpaulins. Furthermore a unique fendering system has also been designed to prevent snagging. To meet the highest levels of biosecurity the vessel has been equipped with a high pressure power washer and the deck has been so designed that absolutely no dirt or debris collects on the deck: the work is after all for the food industry. There are doors in the gunwales on the starboard and in the stern of the ship to make work at the farms easier. The workdeck has an HS Marine AK30 HE4 1180 kg @ 13.38 metre crane, which is required to deal with the heavier mooring systems which are used by Scottish Sea Farms Orkney. The maximum heel of the vessel will be less than 7 degrees during hoisting works with this crane. 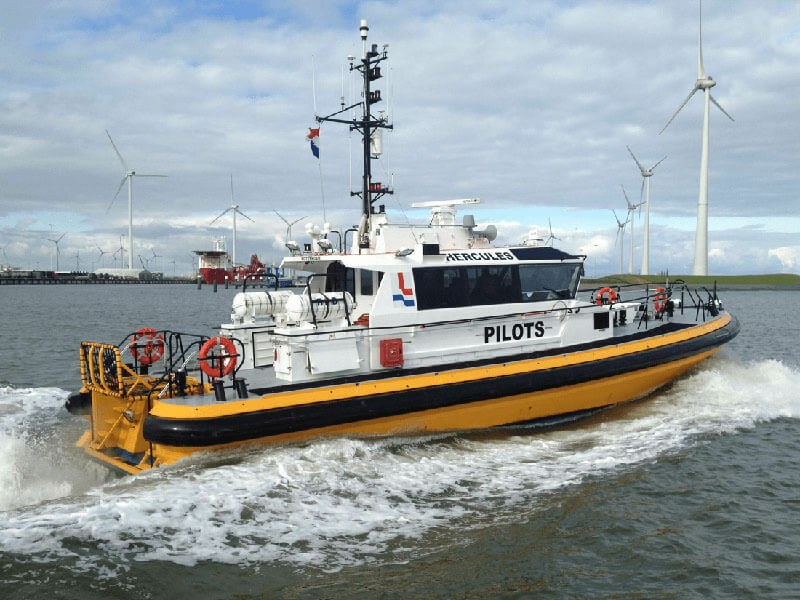 For more information on the process of succes of this Vessel and what we can do for you, please contact us.